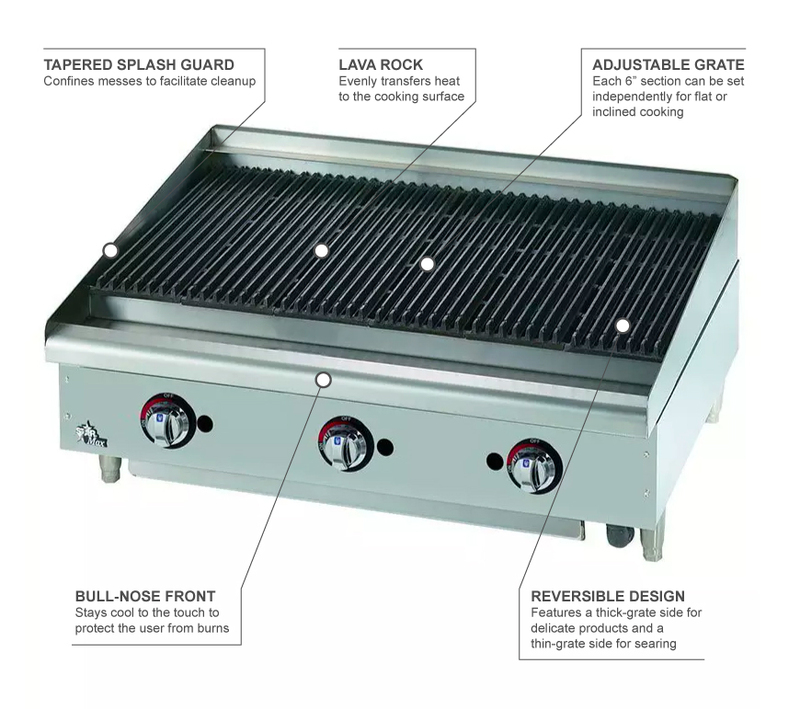 Powered by natural gas, the Star 6036CBF Star-Max® charbroiler can be converted to propane with the included conversion kit. It is 36 inches wide with three burners spaced every 12 inches to provide even heat distribution, and each section is controlled by a heavy-duty metal knob. Lava rock briquettes are used to transfer heat to the broiling surface, which enriches the flavor more than radiants by absorbing grease and vaporizing it. The surface is made of 6-inch grates that adjust independently to flat or inclined positions. 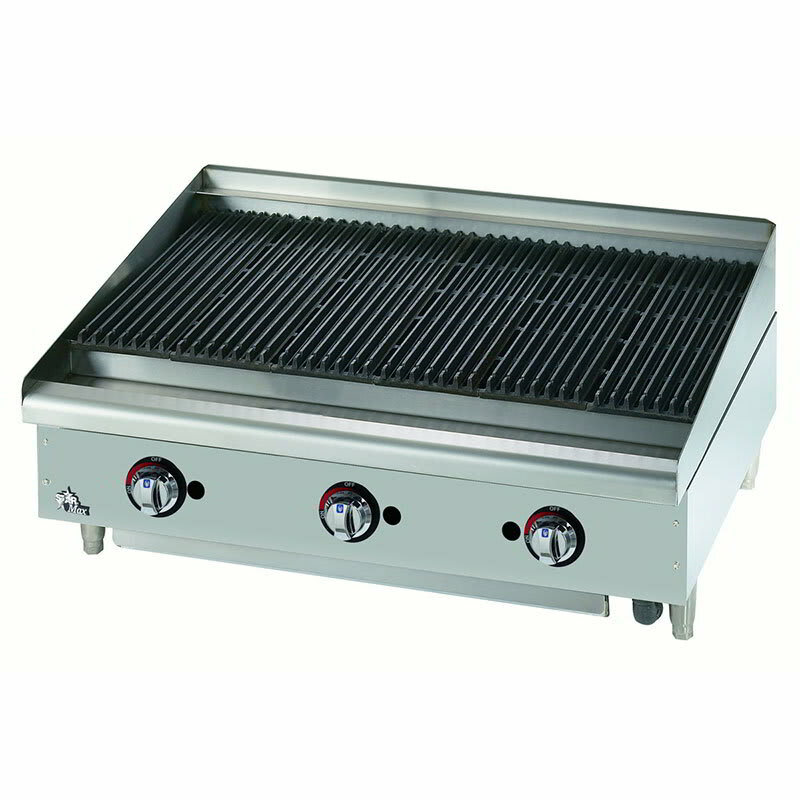 They are also reversible with a thin side for searing and thick side for delicate product, while these grates hold a large amount of product for high-volume applications during busy hours. Tapered guards contain splashes to the broiling surface of this Star 6036CBF Star-Max gas charbroiler, and a bull-nose front protects the operator from heat by staying cool to the touch. More on the features and benefits of charbroilers is available in our charbroilers buyers' guide.